Mar-Lan Industries is located in Dallas, Texas providing quality manufacturing since 1957. At Mar-Lan Industries, we are committed to providing a quality product, at a competitive price and delivered on-time. We are one of the largest, fully integrated wire harness and electrical panel manufacturer in North America and have been servicing our customers for over 50-years. Our services include: cutting, stripping and molding of various wire connectors and harnesses used in a wide range of industries, including: Marine, Automotive, RV, Trailer Manufacturing, Truck and Van Accessory markets, Agricultural, Military and various other markets that require wire connectors or custom cable wire harness assembly. We have facilities to provide electrical panels, instrument panels, AC/DC Control Panels, 12/24 volt electrical wiring systems, electrical accessories and parts for the boat, marine, automotive, and industrial markets. We have injection molding machines for molding various electrical plugs, receptacles and plastic parts. We can supply you with pretested and ready to install electrical instrument panels and associated wiring harness for boat. We are one of the largest manufacturer of Livewell Timers, Trolling Motor Plug & Receptacles, Inline Fuse Holders, ATO Fuse Holder, Engine Wire Harness, Trailer wire Harness and Electrical panel for Marine Industries in North America. 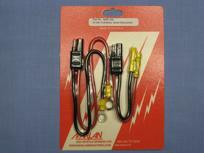 Mar-Lan Industries insures that all electrical connections are of the highest quality. Terminals are applied with automated machines to insure reliability in all electrical connections. Whether you have a need for one wire to be terminated or a whole wire harness to be assembled, we would be glad to assist you. We can change any of our stock parts to accommodate your needs. You can change any lengths, colors or wire ends and these parts will become your custom made items. 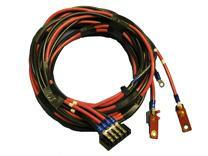 We use custom wiring harness diagram to make any custom wire harness assembly. Computer engraving provides extreme accuracy with a custom look that will last a lifetime. Mar-Lan goes beyond just cutting and engraving, we will also load and pretest panels to your specifications. We are one of the largest supplier for Marine Electrical panels, Boat electrical panels and Yachts electrical Panels. package larger items in clear bags with a header card to be hung on pegs.